Whats in your Bag Wednesdays? 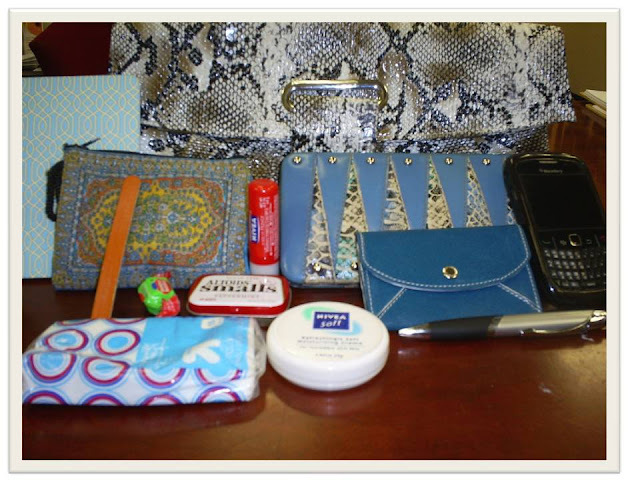 Welcome to the 2nd installment of Whats in your Bag Wednesdays. This week's participate not only loves style, but loves Jesus as well. You can't help but loves a girl who get her 'style on' and her 'God on' at the same time. Please meet Cathy of Minister of Style. I'll let her tell you about her. 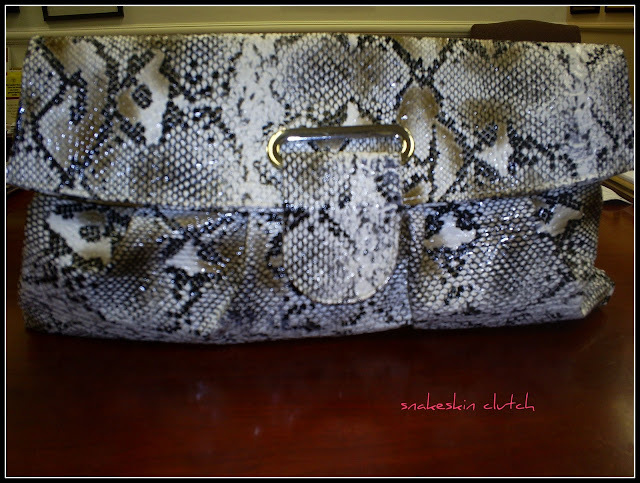 Hi, I'm Cathy and I 'm a handbag afficionado! I love bags, all types from ladylike frame handbags to big, slouchy hobos. I think I have owned at least one of every type of bag imaginable. I am currently big on clutches and developing a nice little collection. 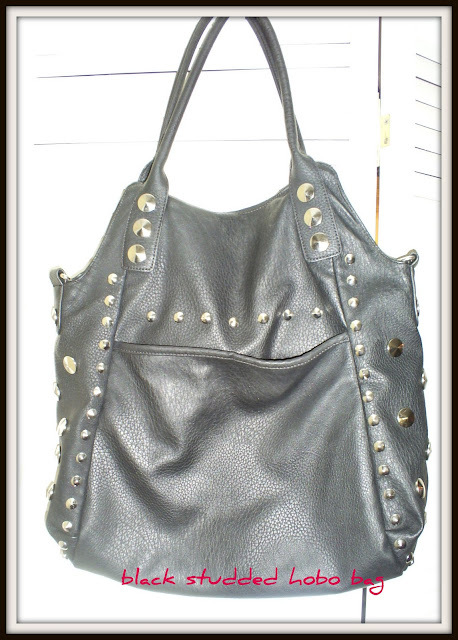 My bag du jour is a black studded hobo that I purchased from Marshalls a few months ago. One of the reasons I love this bag is that although it is slouchy, it still holds it's shape when I stuff it with all kinds of "necessities" of the day. 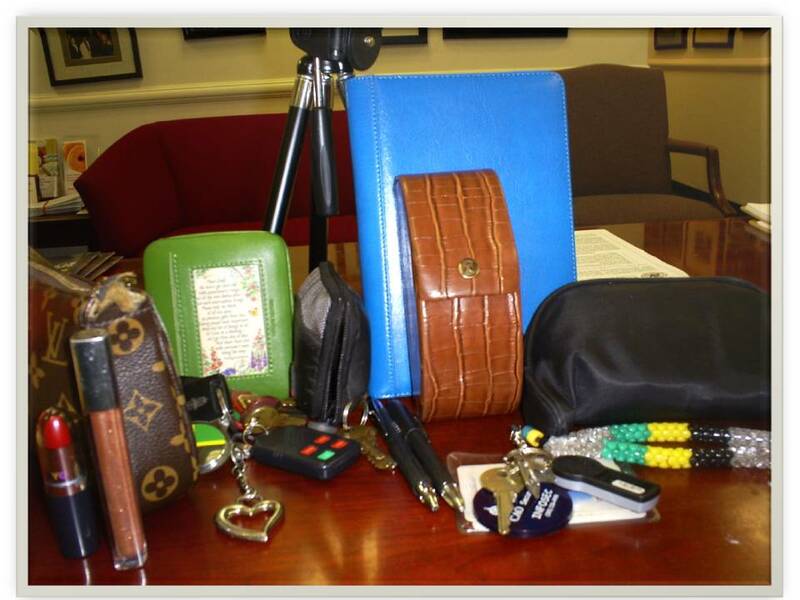 The front has a pouch that is closed by a magnetic snap, it is large enough to hold my keys and Blackberry....things I need easy access to. The back has a zippered pocket to hold more doddads that you might want to get to quickly. I often stash my work ID and access card in there for safekeeping. It's a basic black with a classic hobo shape that gets me through the work day keeping it professional but the studs give it a little edge, so I can still carry it on my personal time and feel like I am expressing my personality. I carry a bag within a bag during the workweek, it makes it easier when I need to slip out of the office for a minute and don't want to carry the full arsenal of stuff with me. (I am a big on carriying a bag within a bag, its great for times when you need to go from day to night in an instant) This week I am carrying my snakeskin envelope clutch, it holds all that is important if I didn't have the main bag with me. It is pretty enough on its own so I carry it with pride, I don't need to hide it like those clear plastic pouches you have to carry when you work in a department store and everyone can see what's in your bag. small wallet- holder of store cards, health insurance cards, etc. I love Cathy in this dress. 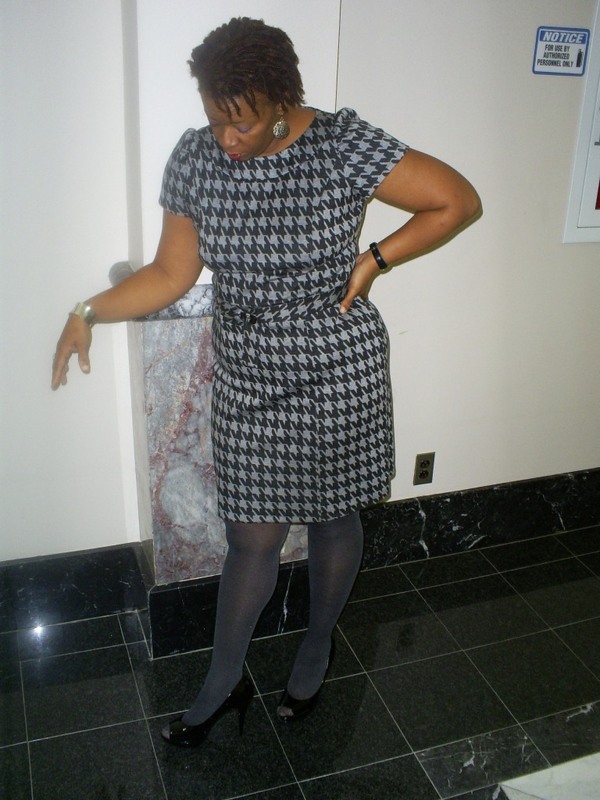 Yall know I have been on the lookout for that perfect houndstooth dress, but I keep coming up short. Interested in being featured on Whats in your bag Wednesdays? Just email me at chastity@garnerstyle.com. I love The Minister of Style! She is a hoot! I have the pleasure of chatting with her on the phone from time to time. She is a minister but she keeps it real...she even allows me to slip a cuss word in there from to time when I'm venting! Love the new segment and ms. cathy's dress. Best wishes, hun!